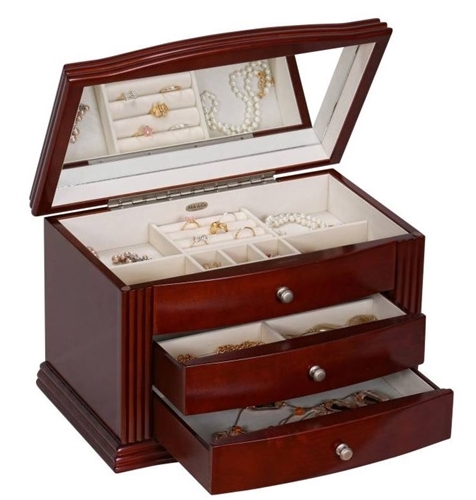 Subtle grace and forthright style bestow this Georgia style jewelry box that will add elegance to any women's decor. 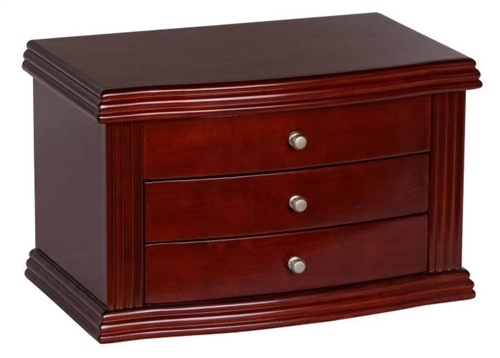 A neoclassical design with full interior mirror, ring rolls, sectioned compartments, and plenty of open storage provides endless arrangement possibilities. Measures 13" x 8" x 8" to fit large jewelry collections efficiently.